Since Magnum was launched onto the market in 1987, these tractors have been considered a benchmark worldwide when it comes to maximum traction, high engine power and reliability. More than 150,000 Magnum tractors have been produced since its introduction and are being used in arable regions throughout the world. Case IH will be revealing the 2015 model at the end of 2014. 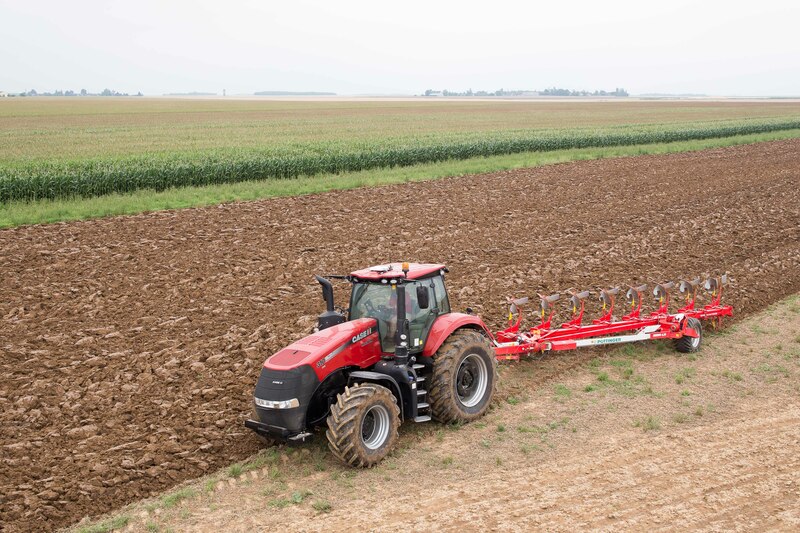 Case IH is presenting a new model line-up: with the models Magnum 250, 280, 310, 340 and 380, engine power ratings of 250 to 380hp are being made available. The top model, the Magnum 380, has a maximum power of 435hp when using the Magnum’s power boost feature. The new Magnum features an 8.7L ‘Cursor 9’ engine from FPT Industrial which is equipped with the Hi-eSCR system and meets European Stage IV (Tier 4 Final) exhaust emission regulations. The Hi-eSCR system is a further development of the SCR solution used for Stage IIIB. Case says the SCR solution has proven very successful with simplicity of design, great fuel efficiency and with a best in class engine oil change interval of 600 hours. On all models − except the 250 − the wastegate turbocharger is replaced by an eVGT, an electronically variable geometry turbocharger. This helps the engine power and torque characteristics at lower engine speeds with a peak torque of 1,850 Nm between 1,300 and 1,400 rpm on the Magnum 380 model. The new Magnum range offers a wide range of transmission options including Full Power Shift and CVX in both 40 ECO and 50 KPH versions. Case says with efficiency in mind the Magnum CVX transmission has four mechanical ranges, providing more mechanical efficiency than other transmissions with fewer ranges; this design allows for 50 KPH at 1,400 rpm reducing costs during transport operations. 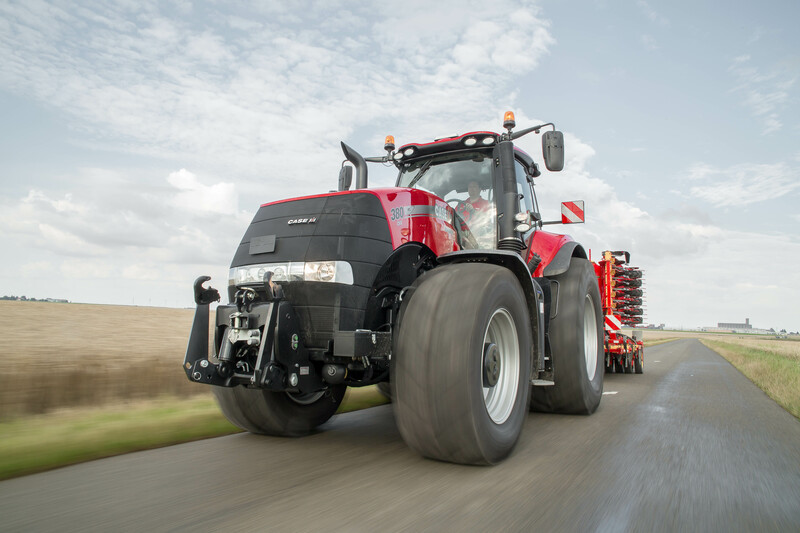 The Magnum includes Automatic Productivity Management (APM) used on other Case IH CVX tractors, and the dual hand throttle enabling the operator to set minimum and maximum engine speeds.